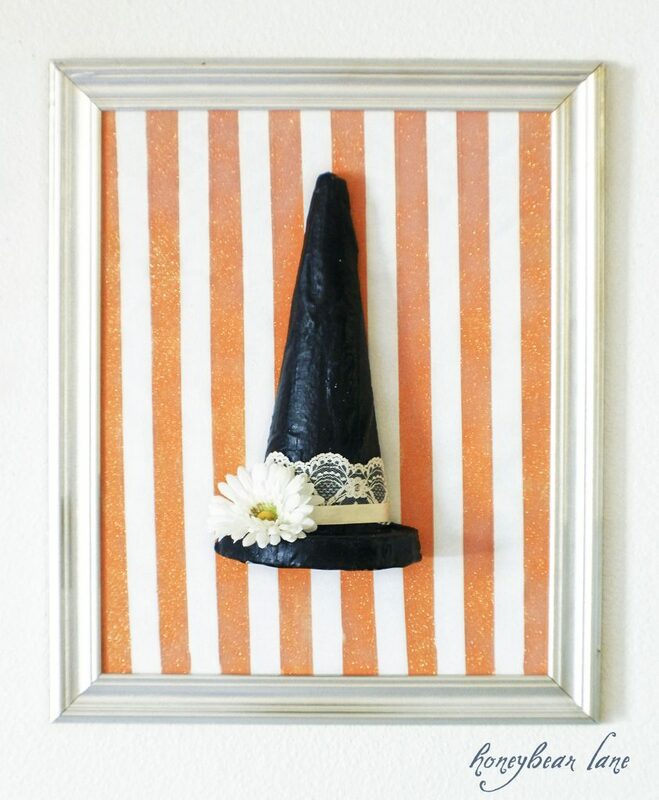 Make a Framed Witches Hat! And I think I was right. Seriously, I love these! 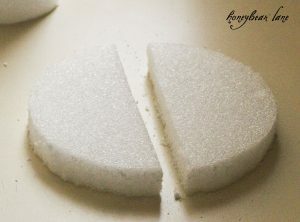 First, I cut a cylinder in half vertically, then cut the circle in half. 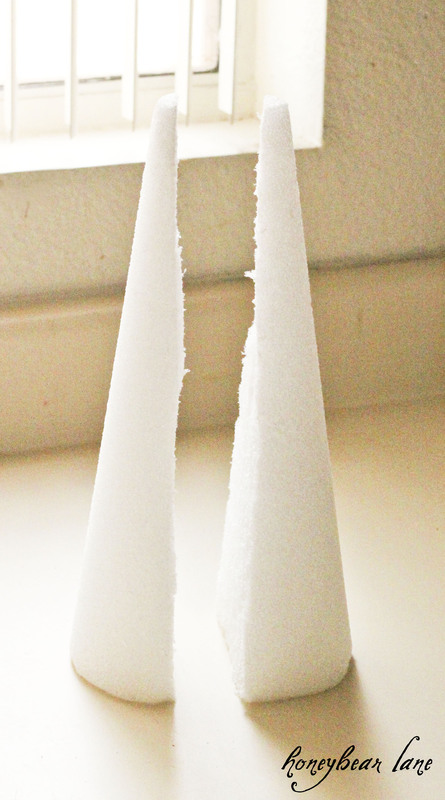 I used the strong craft glue (E-6000) to glue them together. 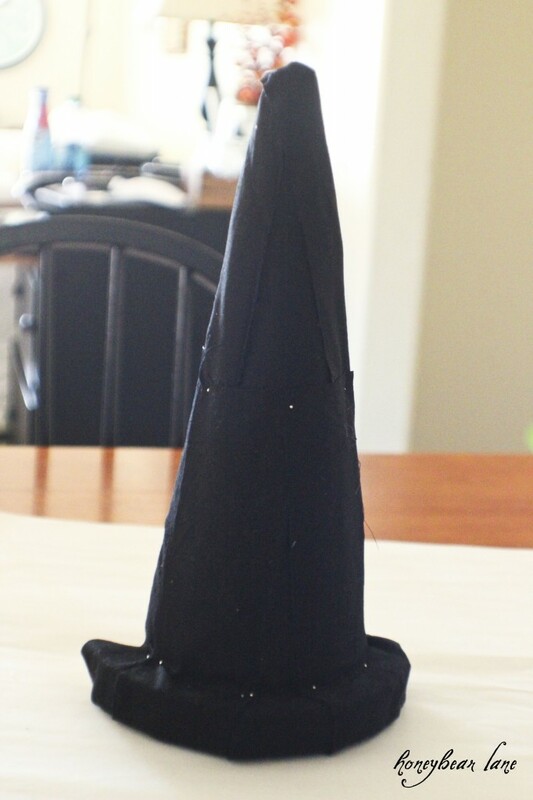 This made the witch hat form. 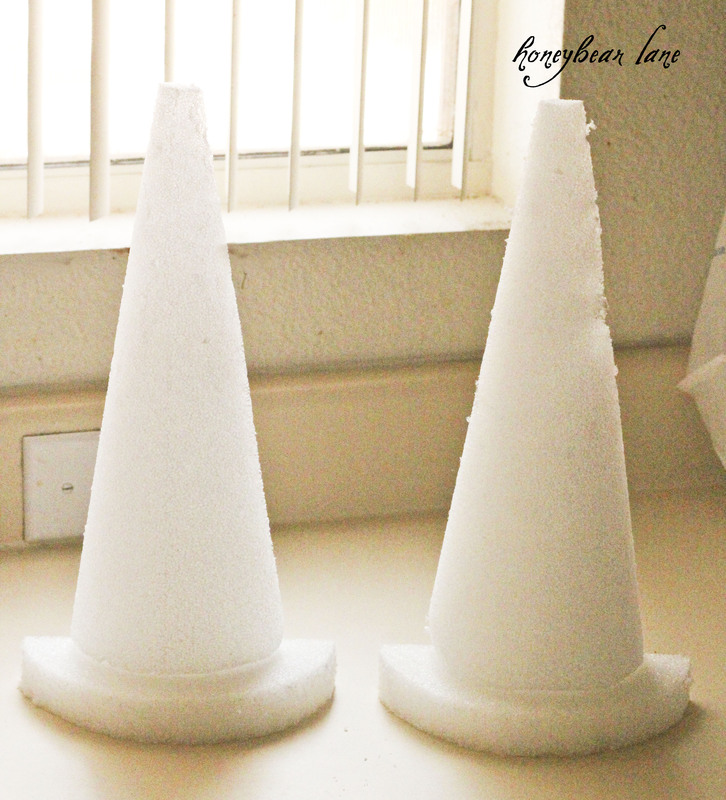 After I made the forms, I used Krylon Glitter Blast to spray these black and glittery. But it didn’t work very well…and ended up looking a bit industrial and uninspired. I decided to take black strips of fabric and cover the form. I used straight pins to keep the fabric in place, wrapping the fabric around the form and pinning. After wrapping my forms with fabric, I painted Mod-Podge all over to get it to stay in place. It wasn’t completely smooth, but I liked the look, making it look like it’s a real fabric hat. 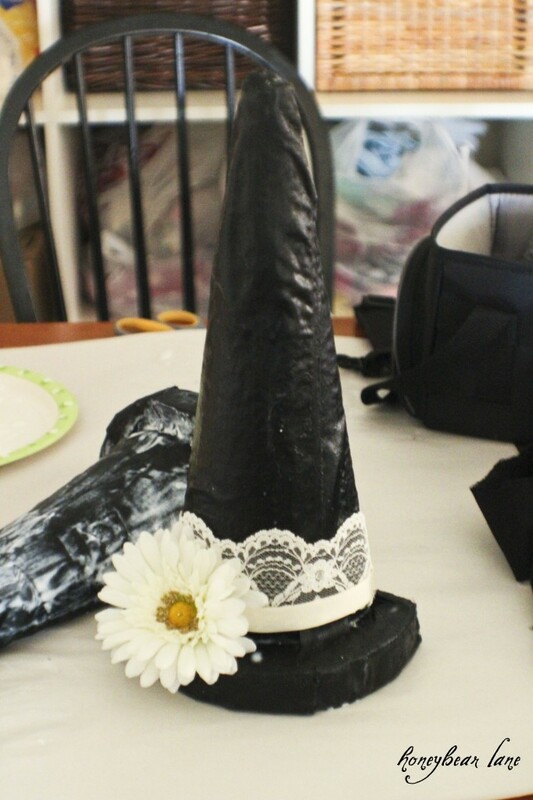 After the Mod-Podge dried, I embellished the hats with some lace, ribbon, and flowers. I kept it simple and kind of vintage-y, and I just pinned on the embellishments so that I can change them next year if I want. 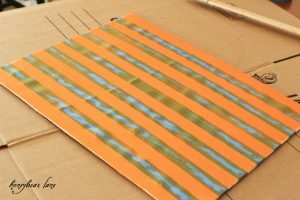 For the background, I decided to make my own orange and white striped fabric. I used white canvas and wrapped it around cardboard. 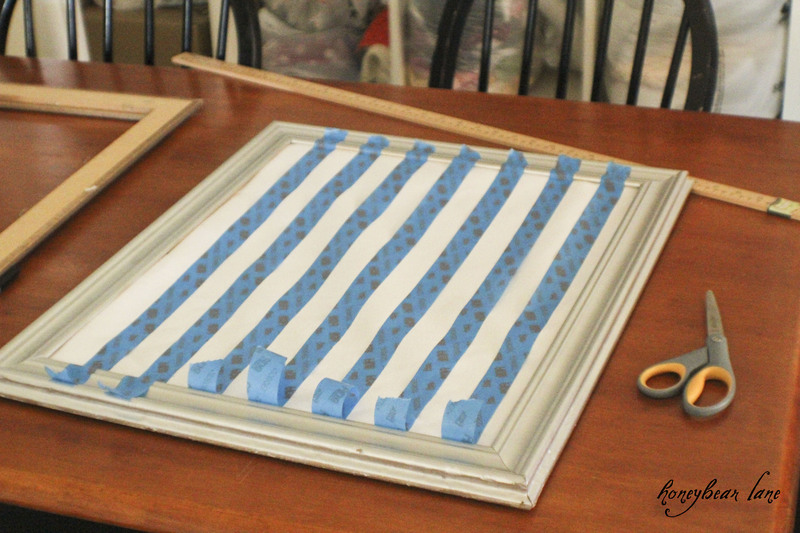 Then I taped my lines using Scotch Painters Blue tape with Edge Lock. It did a great job! 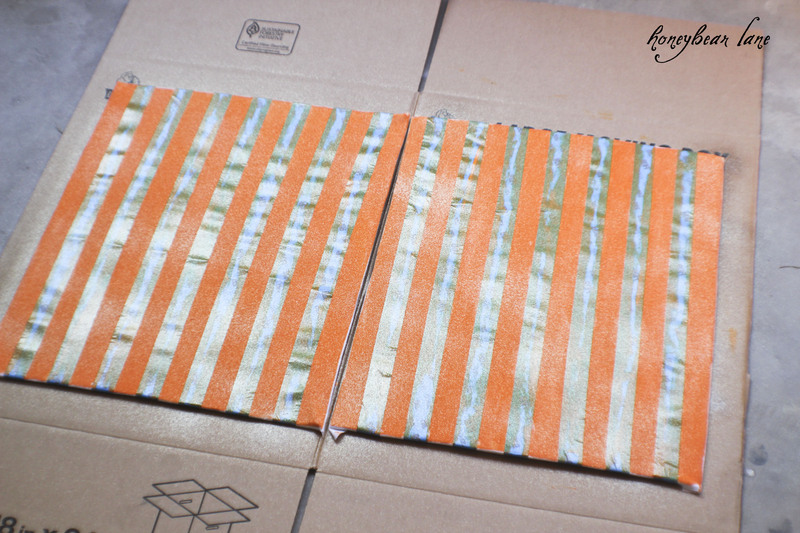 I used Plaid Paints orange paint to paint the stripes. And for the final step, I sprayed a little of the Krylon Glitter Blast in gold on the orange stripes to glam it up a bit. I really like this little touch! Love it!!! So creative, and I love the addition of the silver strip. Looks fantastic! Those are so cute! You are one creative lady. Hope you’re doing well. Great Job! 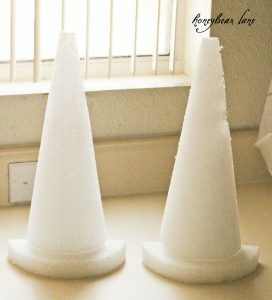 These are so cute and creative!! 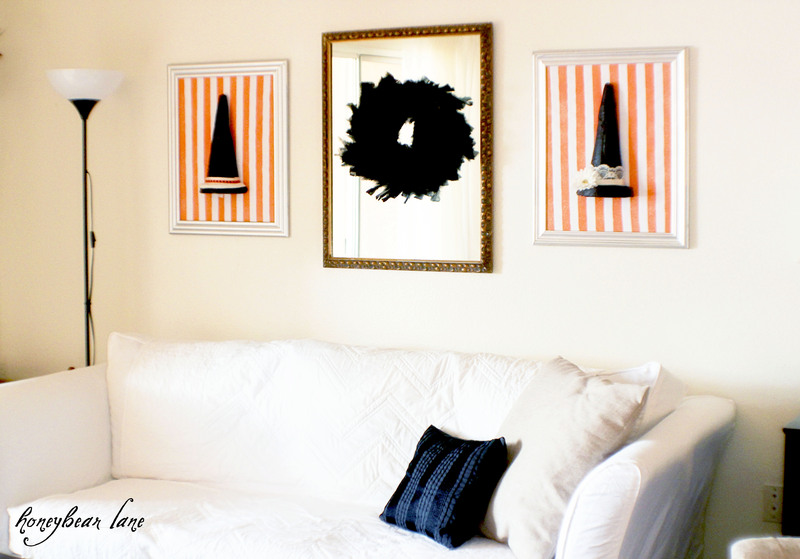 I was dreaming about my fall decor in July too 😉 Love the stripes! Very Cute Heidi! Very Cute!! OMG so creative! Wow! I love it and it really adds to your livingroom! Thanx for sharing! Great project! 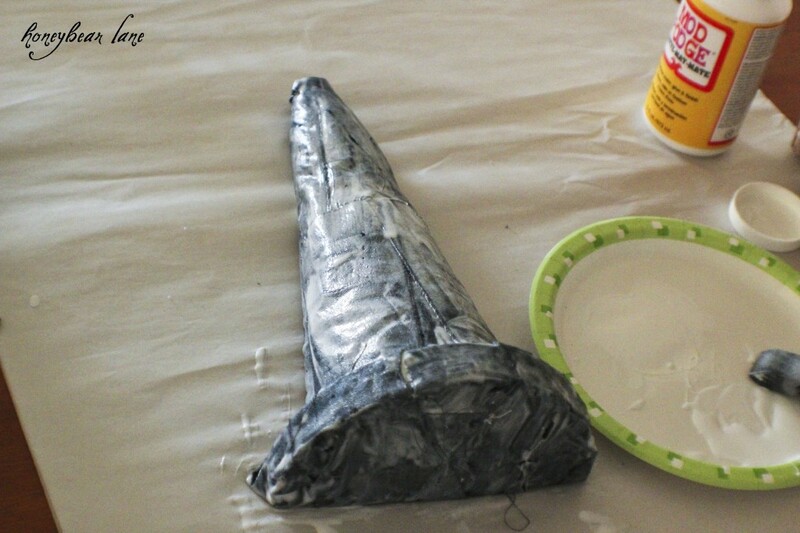 I hope you’ll link this post up to my Wickedly Creative Halloween Ideas Party. Thanks! I will link up! Thanks Kara! Hope that darling baby of yours is doing well! These are the CUTEST! I am so impressed by your creativity! Great job making a really fun decor! I love this! 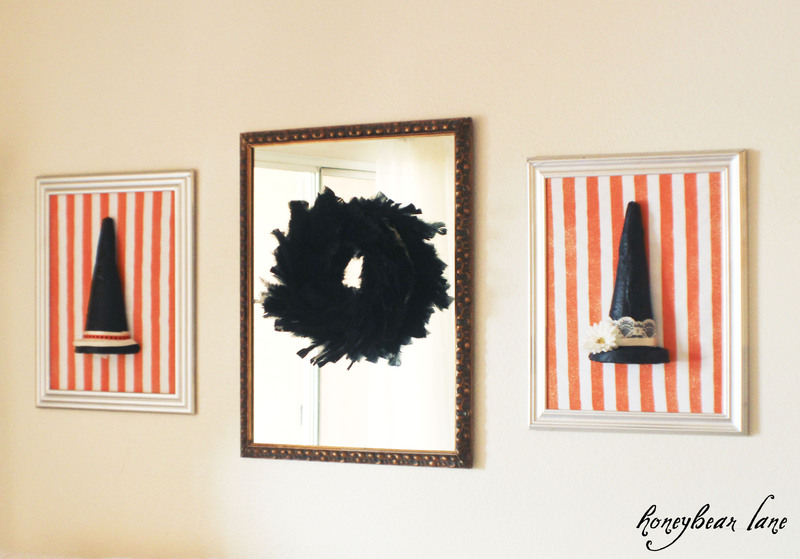 The hats, the wreath, the orange and white! Darling. I am featuring this at somedaycrafts.blogspot.com. I featured this on my blog today. Love them! These are TOO stinkin cute! You are brilliant! What a cute idea. I found your post through the Crafterminds facebook group. I’ve been to your site before but now I’m your newest follower! Hi Carissa! Thanks for following! Very cute! Love your style! Heidi, these are crazy cute. I mean seriously – I can’t hardly stand it!